The wedding notes for pastors free printable goes along with the previously published wedding information sheet for pastors. 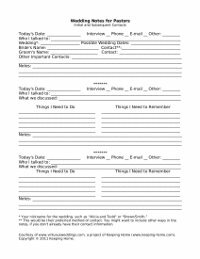 The wedding notes sheet is a way to keep tract of communication regarding a wedding, as well as things to do and things to remember after each contact. 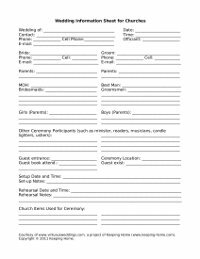 Wedding information sheet for churches. This free printable is a great way for a church wedding coordinator or secretary (or anyone in charge) to keep track of information for each wedding on the schedule. 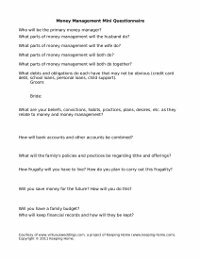 A mini money management questionnaire for engaged couples. 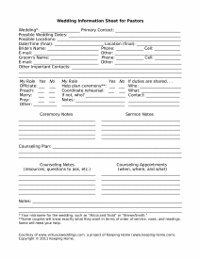 A free printable wedding information sheet to help you keep track of all the information about a wedding you are involved in.